iBeacon: Powered by Apple, iBeacon offers an exemplary & with a future foster approach of exploring locations. Simply put, a wireless device sending signals to nearby devices (smartphones, tablets, etc), wherein mobile applications can sense this signal and activate a location-based action. With our iBeacon mobile app development service, businesses especially retail industry can expect cutting-edge and niche apps that will not only add value to operation but also enhance the competency all the way in operationality and functionality. For e.g, when a pedestrian walking down a lane in city center and before approaching a coffee shop his/her smartphone beeps with a notification of an “Instant offer or discount on coffee” is a signal thrown by physical hardware device named Beacon set up at the shop or store to attract customers having Bluetooth enabled device. How does iBeacon work: It is a technology which uses Bluetooth low-energy (Bluetooth / LE / BLE) connection to communicate with nearby devices. This is a location sensing application connects with in-store beacons while detecting enabled smartphones to send push notifications. 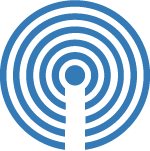 iBeacon technology is induced with low cost, low powered and lower energy Bluetooth device that uses low frequency for transmitting weak signals consisting primarily of advertisements or small packets of data, broadcast at a regular interval by Beacons via radio waves to other Bluetooth-enabled devices. Connect iBeacon with Moon Technolabs, a top iBeacon app development company as we had built an app for windows, where a person comes near the PC and has that app installed in iPhone(4s or above) than iBeacon will recognise and trigger a start call to that windows app and it will start running. When a person moves away, iPhone would trigger a stop call and windows app would stop functioning. (Only needed is iBeacon chip is must be placed in windows PC). with End-to-End iBeacon development services. iBeacon is an Apple’s technology which allows mobile apps to listen for signals from beacons in the physical world and react accordingly. Our iBeacon team of developers have deep understanding and knowledge of Low Energy Bluetooth – essential to unearth the power & potential of iBeacon. Benefits of iBeacon: i-net Connectionless, Accuracy,Privacy,Integrity,Affordability,Usability,Reasonable. We craft our esoteric logical approach pertaining to the customized & personalized need requested by our valuable clients. Keeping top-notch quality parameters for years has turned into a habit now and hence, we absolutely like to lend our ears to shape your business plan/idea into reality apps that offer exceedingly well usability and great potential for your business processes. You can expect fully integrated and innovative iBeacon app development proposals from Moon Technolabs. Our attention is to encapsulate on the various & feature-rich iBeacon platform to exponentially expand your presence to global targeted market and respective industry audience.